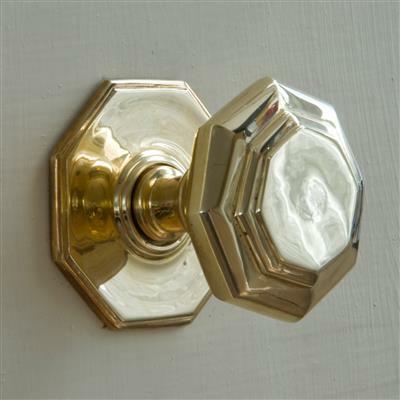 A hand cast, solid brass door knob, made as a single pull handle. 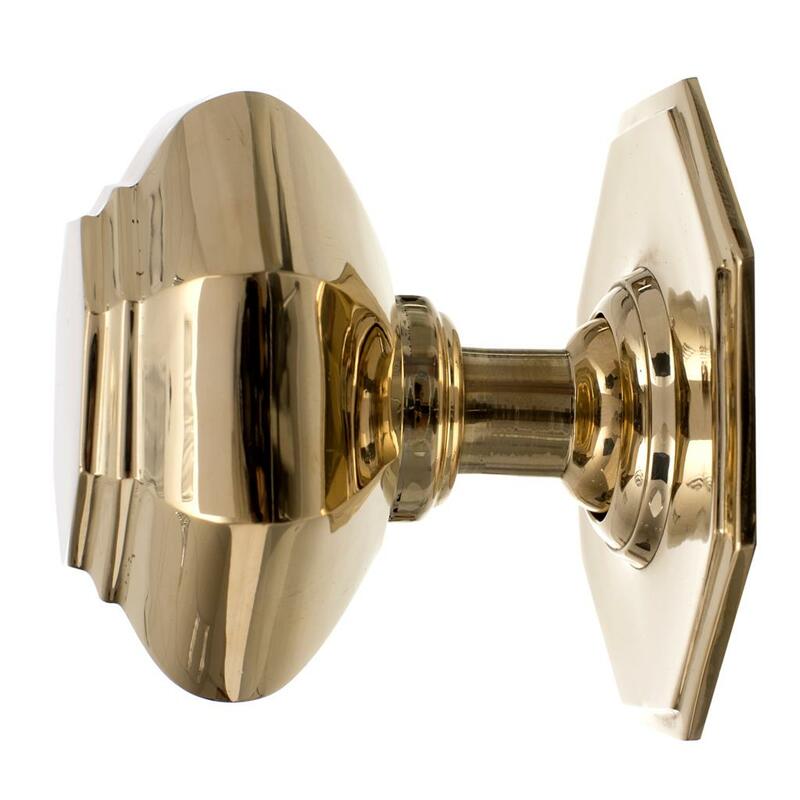 As with all our brass, the Shaftesbury is supplied in natural, unlacquered brass, either polished or lightly antiqued from our collection of door furniture. This door knob is made using traditional blacksmithing techniques, the intricate detail in the design highlights the skill of our blacksmiths and their ability to hand craft door pulls that suit both contemporary and period properties. Our Polished Brass finish elevates style and sophistication, offering a unique look that can be contrasted against pastel colours beautifully enhancing the entrance to your home. 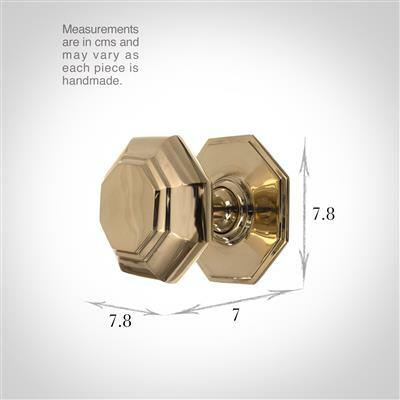 The backplate dimensions are 7.8 by 7.8cm and the knob is 7 by 7cm. It is a substantial handle designed for a front door or comparable size door. 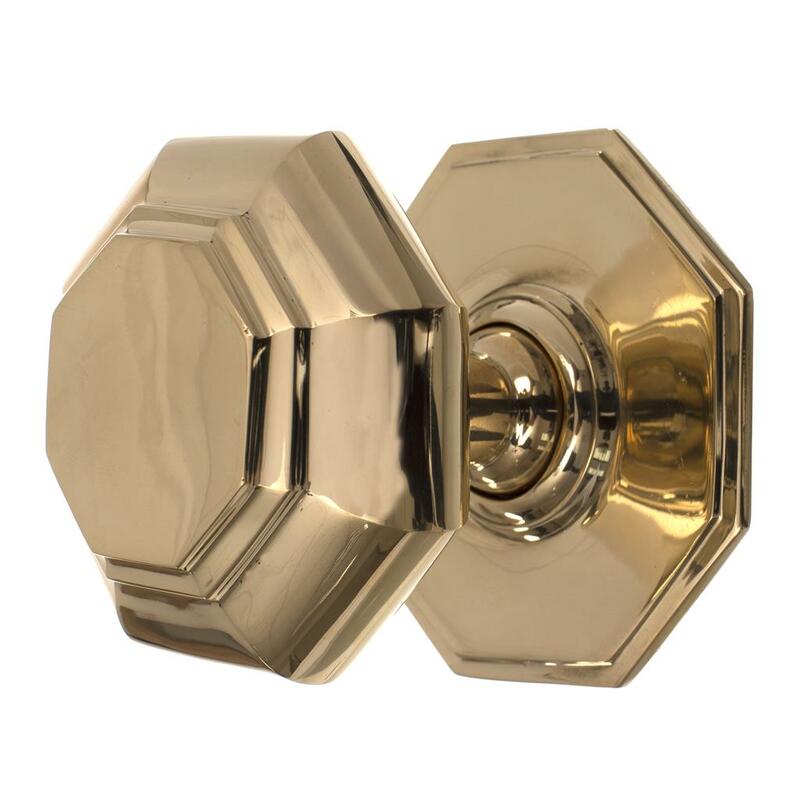 For our full range of door knobs please see our forged iron and brass knobs collection.